Our managing editor got bendy with some goats, and somehow among their bleats and bucks, her stress melted away. Plus a video of a goat wipeout. Photo by Vivian WheelerAs the goats spend more time with humans, they get more adventurous in their climbing. Here, Violet climbs on Managing Editor Claire Porter in chair pose. Scroll down to see a video of Violet taking a tumble. If you’re anything like me, you might periodically spend an hour scrolling through Facebook and Instagram. Lately, something had been popping up on my feed: itty bitty goats, hopping, bopping, bleating and head-butting their way around bucolic green pastures—and straight into my heart. I started looking for ways to get my goatie fix without subjecting myself to traumatic flashbacks to a childhood spent in chaotic petting zoos. Luckily, Stephanie Wubbena, owner of Live Pure Yoga, had been struck by the same bug. 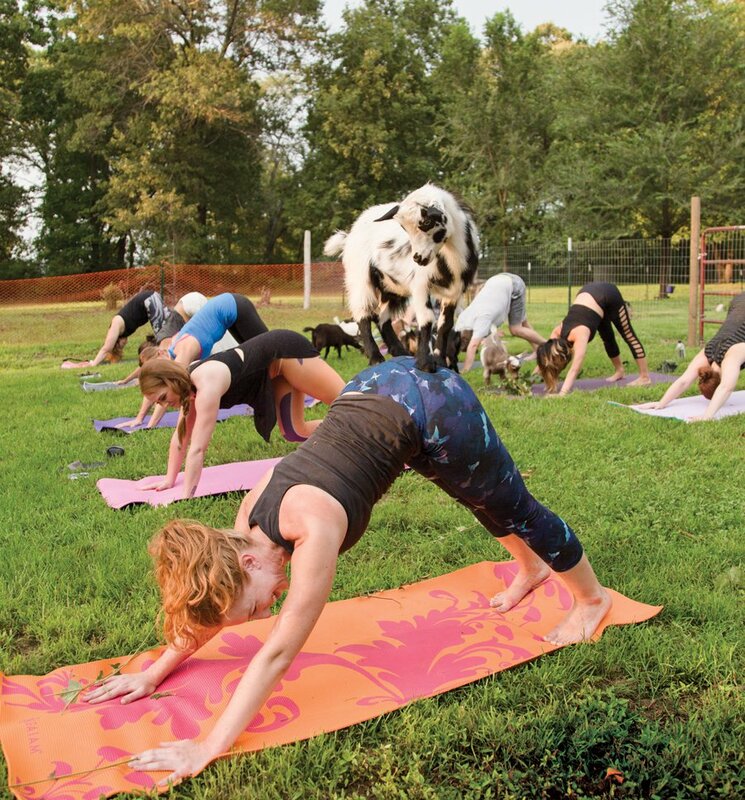 Wubbena had heard of a concept called goat yoga as a form of animal-assisted therapy. Goats are naturally curious, smart and small, making them great candidates for a workout class. After doing her research, Wubbena decided to go all-out and buy the farm—literally. “I’m kind of an all-or-nothing kind of person, to be honest,” she says. 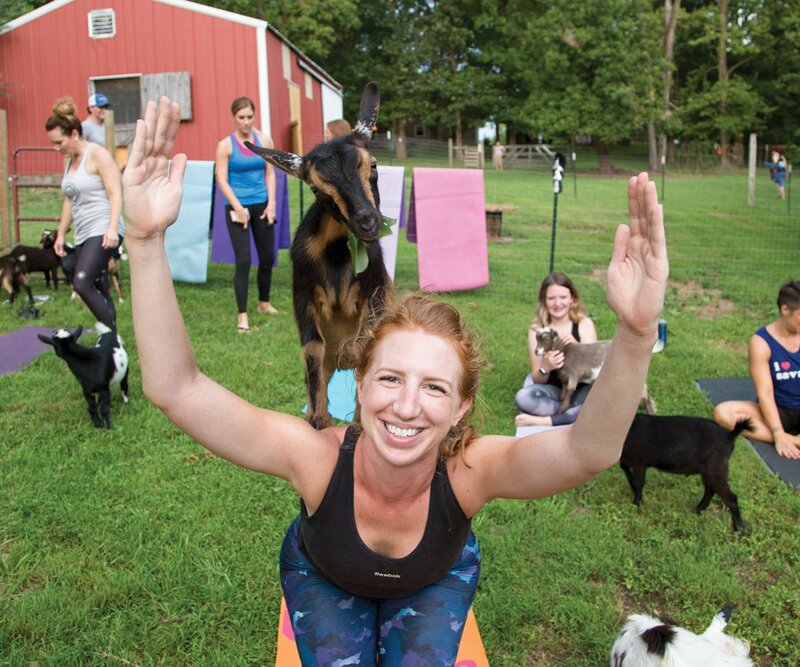 Wubbena and her husband bought a 5-acre plot of land in Rogersville, acquired a herd of 10 Nigerian dwarf goats and founded Goats and Yoga in July. After seeing the kids popping up from their Instagram account, @goatsandyoga, I couldn’t wait any longer and visited Wubbena and her billy bunch for a weekend yoga session. Wubbena and her family moved onto the property in May. It’s a partially wooded lot perched atop a hill in a picturesque pastoral setting, and her goats have the run of about 2.5 acres of it. “They’re living the dream,” she says. 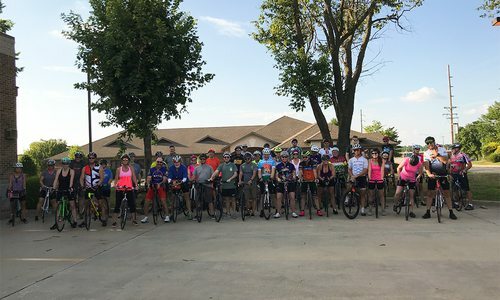 Wubbena chose Rogersville because it’s a mere six minutes from Farmers Park and only 10 minutes from her Springfield studio, making it an easy escape for clients. Although the farm is technically a business, it doesn’t feel that way. 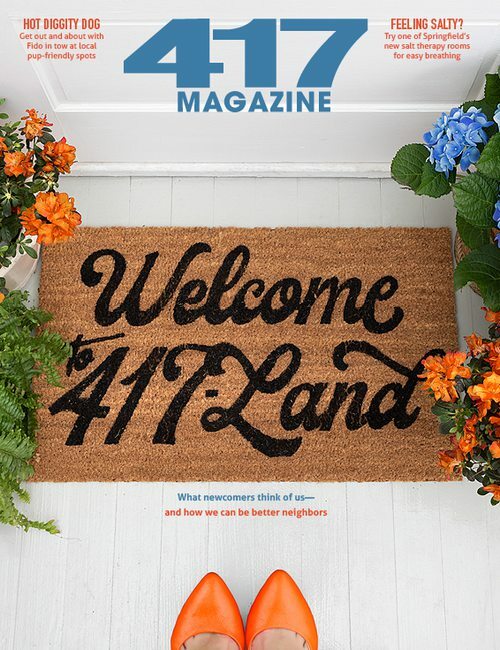 “It’s the goats’ home, and it’s our home first, so it has definitely less pressure and less of a business feel and business edge for me, which is kind of a respite,” Wubbena says. Photo by Vivian WheelerDon Draper the goat surveys yogis from his perch atop a derriere. He and his nine siblings munch on leaves and climb freely during the class. When we approached our yoga pen, 10 bleating voices echoed from the barn as 40 hooves eagerly clip-clopped their way out of the barn and into the paddock adjoining our fenced-off yoga area. As the herd jumped at the plastic fencing, my classmates and I spread out our mats in two rows, dropped anything we didn’t want munched on outside of the fence and readied ourselves for a 75-minute class of vinyasa yoga and playtime. As soon as we were settled, in tumbled Violet, Hank, Don Draper, Archie, Frankie, Sammy, Abe, George, Roger and Otis. Wubbena asked us to sit calmly and focus on our breathing—not an easy task with these cuties gallivanting around the pen, walking (and pooping) across our mats and nibbling everything in their sight. Often, the goats needed no persuading to climb over you as if you were a rock formation, but if they needed coaxing, Wubbena guided them by trailing leafy tree branches around like a bovid pied piper. They eagerly scrambled over one another—and us—to munch the hickory and oak leaves. Wubbena, who has more than 20 years of experience in fitness and is working on her master’s degree in occupational therapy, cites the many advantages of spending time with animals, including lowering your blood pressure, reducing anxiety and stress and lessening the physiological effects of stress—that is, if you’re not afraid of animals. If you’re stressed about goats or allergic, animal-assisted therapies might have the opposite effect. Those benefits are not just lip service. As I watched the sun dip behind the trees, I listened to the cicadas singing and felt the goats nibbling at the grass beneath me, and my stress melted away. I might not have broken a sweat, but this is definitely one workout class worth trying. Wubbena leads the goats around using leafy tree branches. Here, Violet the goat takes a tumble while attempting to hop on a yogi's back. 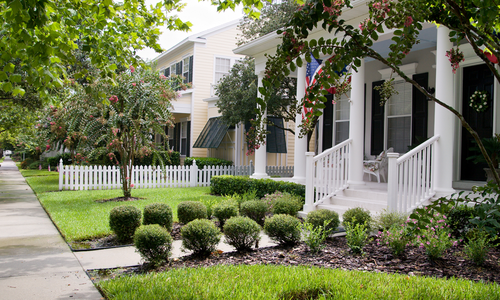 Goats aren’t the only reason to visit Stephanie Wubbena’s Rogersville property. Check out the other furry, fuzzy or feathered farmyard friends on the property, too. Wubbena has two working border collies who help round up and guard the herd. Lily and Finn can be seen wagging their tails, bopping around the farm and keeping an eye on their charges. Starting next spring, get your hands on some super-soft bunny action. Wubbena is starting a rabbit meditation garden with several set meditation class times throughout the day so guests can unwind and de-stress by spending some quiet time with little hoppers. The two strapping young gents of the feline variety are Wubbena’s barn cats, Bobby and Ted. Wubbena named them after the Kennedy brothers but worries that she might have cursed them and their brother, Jack, who passed away after getting a disease as a kitten. If fur and hair aren’t your thing, maybe feathers are. Wubbena’s farm has 36 chickens who will start laying eggs in a few months. Wubbena is focused on breeding and raising heritage chicken breeds and plans to sell eggs and chicks as the business develops. • Classes are Fridays at 6:30 p.m. Includes 45 minutes of yoga and 30 minutes of playtime. More class times at goatsandyoga.com. • Interested in teaching a class? Email stephanie@goatsandyoga.com. 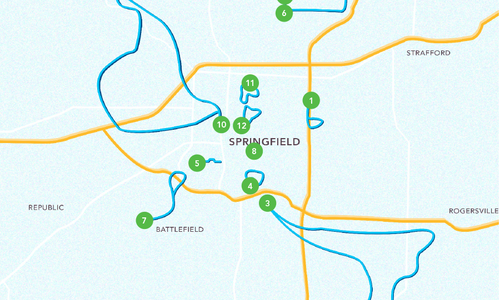 Explore Springfield—and a little beyond—in four months with 417 miles of races to get your blood pumping. Get ready, get set and go! Discover your city and do your body a little bit of good by simply lacing up your sneakers and going for a walk. 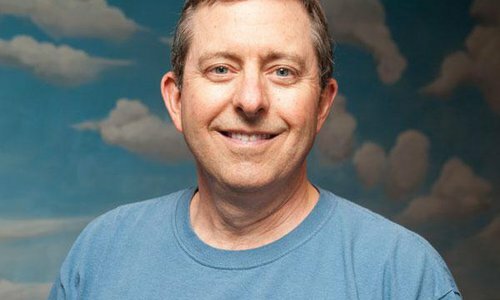 Richard Ollis was blindsided by heart-health problems. Read about his experience, then learn how you can keep your own heart healthy.